The Oaks Christian girls lacrosse program, coming off a disappointing, injury-plagued 2017 season, announced this week it has hired KC Emerson as head coach. 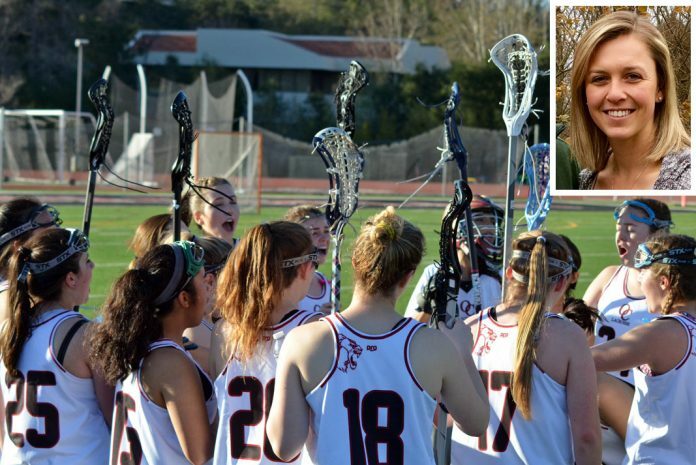 Emerson, who played collegiately at Johns Hopkins, takes over for Kirstyn Atkinson, who relocated to Orange County and now coaches at Santa Margarita Catholic. Last season, the Lions struggled after losing star seniors Sarah Spaeth (Chapman) and Brooke Bryan (Liberty University) to injury. But the growing program returns several players from last year’s squad and also welcomes three very talented freshmen. Additionally, Oaks plans to launch a girls middle school team this spring to continue developing its program. “I think we have found a great fit for our school and program in KC Emerson,” Oaks program director Geoff Sebold said via email, “and [we] will have an excellent core group of young players playing this season who will only get better with game time and practice. The addition of the MS program will of course help going forward. Sebold said Oaks will field only a varsity program again this season but hopes the new middle school team will become a feeder to the high school and allow the program to grow.